Simpsons fans everywhere are united by two fervent beliefs. That the show is the funniest, most groundbreaking, influential show in the history of television; and that the show is terrible and should have gone off the air years ago. Debates rage hotly over the internet as to when the show peaked, when the show went downhill, and how many years or decades ago the show became unwatchable. But now fans can enjoy some much-needed perspective, thanks to The Simpsons Archive. As part of the site’s exhaustive compendium of all things Springfield, the site includes capsule reviews of each episode of the series, which it has embiggened with Internet comments from the time when the episode originally aired. As the venerable show pre-dates the web browser, the commenters during the show’s acknowledged best season (let’s just say most of the single digits and let that settle the argument forever), come from Usenet, a text-only discussion board that was popular back when low-end Macs had black and white monitors and people wore onions on their belts, because it was the style at the time. The Simpsons Archive isn’t the first to notice the show’s long history of Internet hate—now-retired A.V. 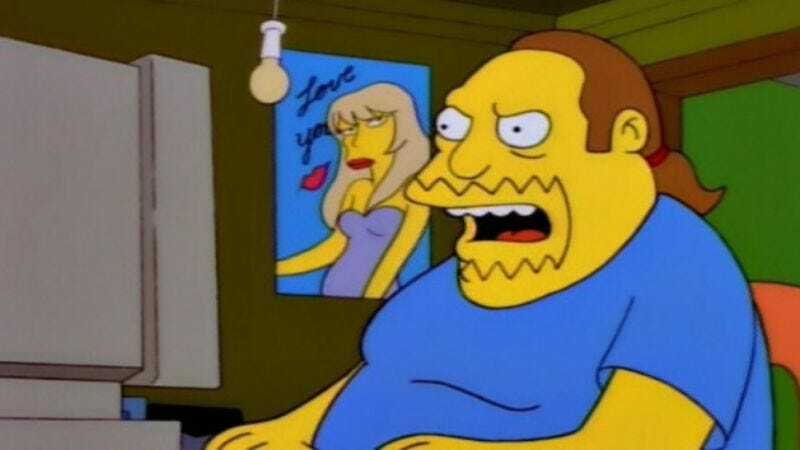 Club commenter “Reposted snpp.com Comments” routinely posted early ’90s Internet hate to our Classic Simpsons reviews. But it’s nice to know that, at least in some people’s eyes, the show has been going downhill from nearly the first episode.